With all the frenetic movement taking place on the women's tour, we've pinpointed a promising new pairing that is ready to take on the upcoming season: Teresa Navarro and Delfina Brea. A duo that will attempt to break into the top positions in the rankings with their talent and desire. 2018 has been Delfina Brea's breakthrough year. 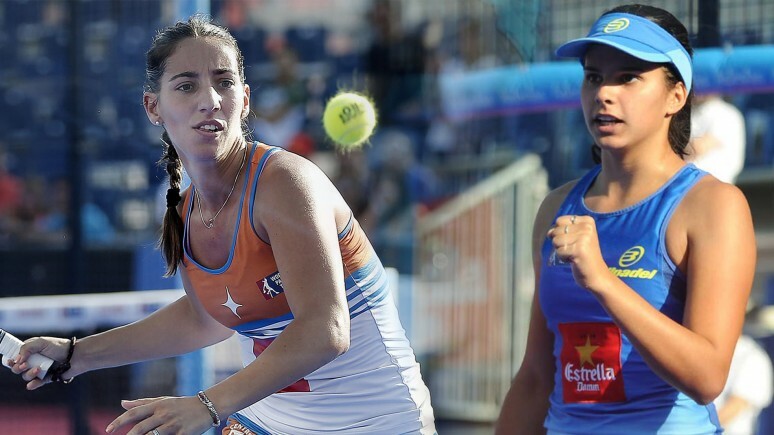 Alongside Portugal's Ana Catarina Nogueira, Brea reached the quarter finals twice and also won her first title as a professional at the Arroyo de la Encomienda Challenger. The future and present seems to be hers. Brea is a versatlie and skillful player with a lot of personality on court. Despite being very young, she's already represented Argentina on the world stage. Delfina has proved in heer second full season that she has what it takes to take on the best players in the world. Teresa Navarro has ended a season and a half partnership with Victoria Iglesias. With the Andalusian, Navarro went from her usual position on the backhand court to the forehand side. In these last two seasons, Navarro has played the Estrella Damm Master Final and consolidated herself amongst the top eight pairings in the world. Now, the Andalusian is back on the backhand court and attempting to stay in that privileged ranking. Her control and quality will be at the disposition of her new partner.